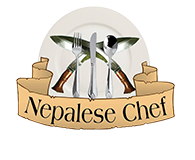 Nepalese Chef is a spectacular restaurant in the heart of Gloucester, serving exquisite Nepalese and Indian food. We welcome our diners to experience authentic Nepalese and Indian food served by friendly and experienced staff surrounded by décor that represent art and culture of Nepal and India. Our kitchen has extensive experience working in Nepal and India’s five star hotel and restaurants. Our menu has been crafted with experience and knowledge with each ingredient, taste profile and flavour carefully considered and selected. From the spicy, aromatic notes of Jomsom, Special Garlic Chilli Tawa and Himalyan curry to the lavish textures of Mango Keshari, Chatte Milan and BiratMurgi, you are sure to find something that matches your preference and taste. We have carefully labelled our menu to ensure that you have all the relevant information regarding dietary considerations such as vegetarian and gluten free. We work hard to ensure that we can cater to all our customers. Additionally, we provide a takeaway service where you can experience the taste of Nepal and India in the comfort of your own home. Simply download the Nepalese Chef app or go online to to our website to explore our full range menu and order. We can also be found us on Just Eat. Treat friends and family to a memorable dining experience with one of our gift vouchers. Please enquire at the restaurant for more details.